Well folks, here it bloody is. The blog you never knew you needed, but the blog that you deserve to read. Strap yourselves in my friends; it’s beans on toast time! 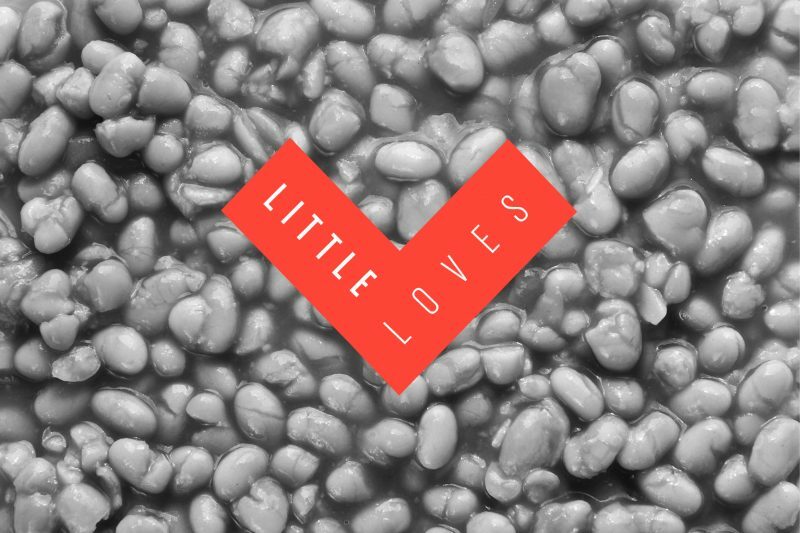 I’ve been working for LITTLE for around two and a half months now, and in that time I’ve gained a *bit* of a reputation for eating beans on toast for lunch most days. As I sit here writing this piece of literature, all I can think about is when I’m next going to have the privilege of enjoying my favourite meal; a hearty plate of Heinz baked beans covered in grated mature cheddar, partnered with freshly toasted bread – the cheap sliced kind of course. I’m one of those people who likes his bread thoroughly toasted to the point just before it begins to burn. None of this warm bread ‘toast’ rubbish that seems to be doing the rounds. But let’s not go off-topic, that’s a discussion for another day, for another blog. For now, let’s focus on the main event, the star of the show if you will; Heinz beans, and how they’ve taken a basic yet wholesome cupboard product and turned it into one of the nation’s favourite snacks. But Josh, why Heinz? I hear you all ask. Well, I’d be delighted and honoured to tell you. Not only do they produce baked beans that are far superior to anything that’s ever been dreamt of before, (don’t even get me started on Branston beans, their pathetic offering is a disgrace to bean culture around the globe) Heinz has consistently nailed their television marketing strategy over the years, delivering regular reminders to the nation that they are still the big cheese when it comes to the British classic. Beanz does mean Heinz, after all. So let’s go on a journey of baked bean discovery and find out how Heinz utilised their television marketing strategy to transform a basic brand into the trademark we all know and love. Although our favourite product was introduced at the start of the 20th century, the infamous ‘Beanz Meanz Heinz’ advert didn’t burst onto television screens until the late 1960s, five years after the first TV advert aired in the UK. The friendly black-and-white campaigns appealed to families, working on the angle that children would grow stronger by eating their baked beans on toast. The marketing strategy helped to establish Heinz as a household brand, offering a quick and cheap option for a family meal. I guess it helps that every bean tastes like a little drop of heaven, too. Later in this decade, another advert introduced viewers to Johnny, a young boy hellbent on travelling around the world. That is until he discovers his mother has made Heinz beans for tea. To stop his sister from eating his portion, he decides to put his plans on hold until the next day, staying at home to eat his beans. A wise move by anyone’s standards, I’m sure you’ll agree. The family-oriented message of these adverts, paired with a well-known slogan, would lay the foundations for Heinz baked beans as a staple of the family shopping list for generations to come. Heinz were one of the early adopters of TV advertising, rolling out their products on-screen for the first time in 1955, the same year TV adverts came into being. Colour televisions proved to be the last piece of the puzzle to make Heinz baked beans a formidable force in the food market. If you’re anything close to being a baked bean connoisseur like myself, you’ll know that the golden orange shade of the beans is an enormous factor in what makes the product what it is. Therefore, it was a massive boost for Heinz when they began advertising in colour in the 1970s. A now-iconic advert in 1973 showed a young boy rhyming about how Heinz beans are indeed the best (obviously), followed by a close-up shot of the meal and the now infamous ‘Beanz Meanz Heinz’ jingle. Celebrity endorsements became a crucial part of the Heinz brand throughout the 1980s, reflecting their national growth and the fact that beans now really did mean Heinz across the UK. Legendary cricketer Ian Botham OBE starred in the 1988 advert, showing a time-lapse from when he was a young boy to the modern day, sat at the same dining table eating the same meal, yep, you guessed it, beans on toast. Now we know the REAL secret behind that time he scored 208 runs against India. In 1989, environmentalist David Bellamy became the latest face to propel his career to new heights by associating with the ‘brand of all brands’, starring in an advert whereby over the years he’s always sitting in a bush waiting for someone to come and hand him a plate of beans on toast (a bit creepy I know, but who are we to judge the marketing geniuses at Heinz HQ?). The idea that famous Brits who children looked up to have grown up eating Heinz beans became a key selling point for the brand during this era, showcasing to the average person or family that even the most high-profile celebrities sit down to enjoy a big ol’ plate of the good stuff. 1990s – 2010 – Does Beanz still mean Heinz? The catchy jingles and lyrics in Heinz beans adverts were now a staple of the brand. The family-friendly scenes resonated with Heinz throughout the country and showed no signs of stopping throughout the 1990s through to the 21st century. Some say that Y2K was the most significant event predicted to shake the world in 2000. Maybe. Or maybe it was the introduction of the Heinz Organic Baked Bean range to market… I think we all know the answer. Heinz wasn’t playing games anymore; this was now more than just a brand. This was a lifestyle. Heinz decided to retire the ‘Beanz Meanz Heinz’ slogan in 2009, but not before treating us die-hard fans to a montage of their adverts from over the years all merged into one. A real tear-jerker, we were treated to the iconic jingle one last time. It was time to move on; it was time for a new era of beans. The branding of Heinz Baked Beans has not broken over the years, remaining just as relevant and influential in the market as it was in the 1960s, with the company still producing excellent adverts to this day. The #CanSong was launched in 2017, showing Brits of all ages using the tin of beans as an instrument and singing along. The song gets stuck in your head each time you listen to it – which is precisely the intentions of those behind it – keeping the product at the forefront of your mind. It simply proves how the marketing team at Heinz haven’t lost their flare despite bravely ditching ‘Beanz Meanz Heinz’. Celebrity influence took centre stage as part of the Heinz beans marketing campaign yet again in 2016, with the company sending personalised tins of beans to various celebrities in the UK, who in turn posted them on their social media platforms to millions of followers. 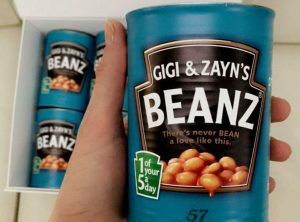 The likes of Ellie Goulding and Gigi Hadid proudly posted their priceless gifts for all to see (side-note: I’m seriously expecting my own personalised tin after bigging up Heinz so much in this blog). Although not a TV advert, the ability of the brand to branch out and use social media to reach a mass audience proves that Heinz is a brand to stay. 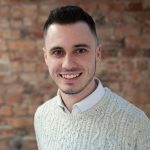 By capitalising on the rapid rise of influencer marketing, Heinz has proven that it’s not just luxury products that can attract big names in advertising. If I had to describe everything about Heinz baked beans and their emotive marketing strategy in one word; it would be phenomenal. From their heartwarming television adverts over the years to the taste sensation that is beans on toast, Heinz has it all. We’ve all engaged with the brand for generations, and things like that don’t just happen. Take Branston for example, despite what I’m sure are their best efforts, their marketing campaigns have been unable to amplify their brand and warm the hearts of the British public quite like Heinz has. By achieving a balance of a quick and easy snack and a sociable family meal, Heinz has perfected their relationship. Why not email hello@little.agency or call 0113 828 0000 to find out how we can help you to transform your content marketing.